A good nights sleep is not just about having a good sleeping bag but a rather a good sleep system. Choose the correct sleep system and we have a warm comfortable nights sleep, night after night. Choose the wrong sleep system and we will be miserable at best, and at worst it may be dangerous depending on the conditions. This article looks at the three main components of a sleep system and the role they play. Do we just have one bag that ‘does it all’ or do we choose ‘horses for courses’ and own a number of bags that suit the particular trip that you are planning. The first decision you need to make when choosing a sleeping bag is what temperature are you going to be using the bag? If you have decided to buy just one bag to meet all your camping needs then it is likely you will be making a compromise. If this is the case, the compromise needs to err on the warmer side. It is better to be to warm as you can always open the zip or reduce clothing you are wearing. If you go for a bag that won’t cope with cold conditions then you run the risk of hypothermia, which can have serious repercussions for your health. Your alternative option is to buy two to three bags to cover all your hiking needs and choose the appropriate bag based on the information you collect when planning your hike for possible temperature ranges that you may encounter. One helpful piece of information you can use in your selection is the sleeping bag EN13537 rating system. The EN13537 standard is a European system accepted worldwide to standardise the temperature ratings of sleeping bags manufactured or sold in Europe. This standard helps you to directly compare one sleeping bag to another regardless of what label the manufacture chooses. This figure is not normally shown on sleeping bags in Australia and is the temperature at which a ‘standard man’ can sleep without excessive perspiration. This is the temperature at which a ‘standard woman’ can expect to sleep comfortably in a relaxed position. If you are a cold sleeper use this rating to decide the coldest temperature for which the sleeping bag is suitable. The temperature at which a ‘standard man’ can sleep for eight hours in a curled position without waking. If you are a warm sleeper you can use this rating to decide the coldest temperature or which the sleeping bag. This is a survival only rating for a ‘standard woman’. Between the lower limit and the extreme rating, a strong sensation of cold has to be expected and there is a risk of health damage due to hypothermia or possibly frostbite. This is an extreme survival rating only and not intended for regular use. When using this standard to choose a sleeping bag think about whether you are a warm sleeper or a cold sleeper, and what sort of clothing you usually wear to bed. Down is derived mainly from ducks or geese with geese down usually providing the best quality although this is becoming harder to source. The second option is a synthetic manufactured material. Both insulation materials have their advantages and disadvantages, which we will now look at to see which is the best for your circumstances. You will often see descriptors associated with down bags such as ‘loft’ or ‘fill power’ and this describes the quality of the down material. The same weight of a higher loft will fill a larger area than a lower loft quality. The higher the loft, the bag will be warmer and lighter but also more expensive. The best quality bags have 850+ loft, which will be reflected in the price. Cheaper down bags will have a loft figure that is much lower. The higher the loft number combined with the amount of down will provide a warmer but more expensive bag. Many bags contain down fill that is treated so it is water repellant. The key word here is ‘repellent’ rather than ‘waterproof’ and if you drop your sleeping bag in the water then that is a real issue with a down bag. Down bags are excellent when you know you can maintain a dry bag and want to minimise the bag size and weight e.g. long distance through hiking. The other option for fill in sleeping bags is synthetic materials. While most keen hikers will use down bags synthetic bags have their place. 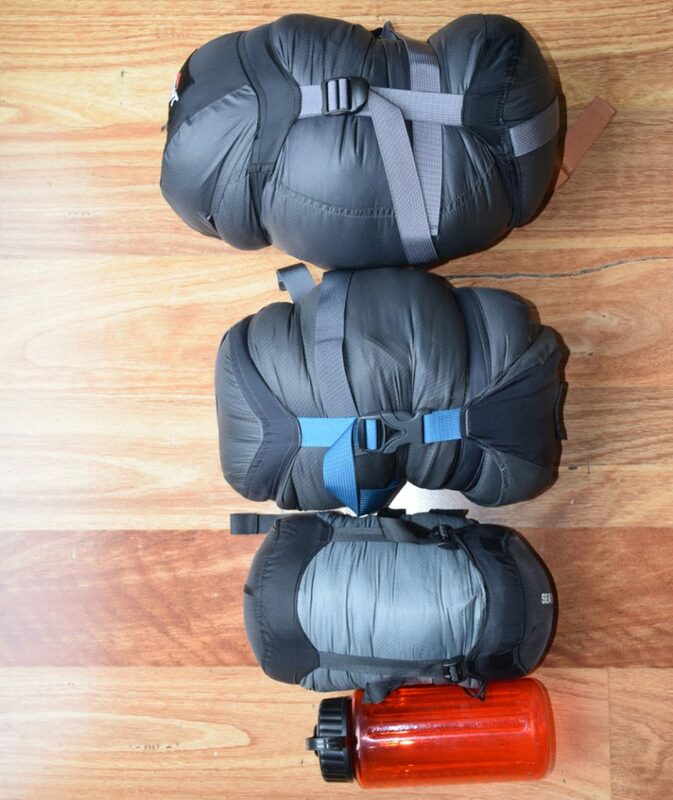 Synthetic bags are a good choice when you are car camping and don’t have to worry about the weight of the bag or when the conditions are very wet. Most hikers will choose a mummy style or tapered rectangular bag depending on their personal preferences. Two last considerations when choosing a sleeping bag are bag length and the zip. Most standard bags suit a person up to a height of 185cm. At 188cm I find these bags are just a bit too restrictive so I will opt for a longer bag, which does limit my choice. Having no hair, I will always buy a bag with a hood. Zips will either be full length zips that allow the bag to open out into a quilt or a ¾ zip that leaves the bottom of the bag closed minimizing weight and maximizing warmth. 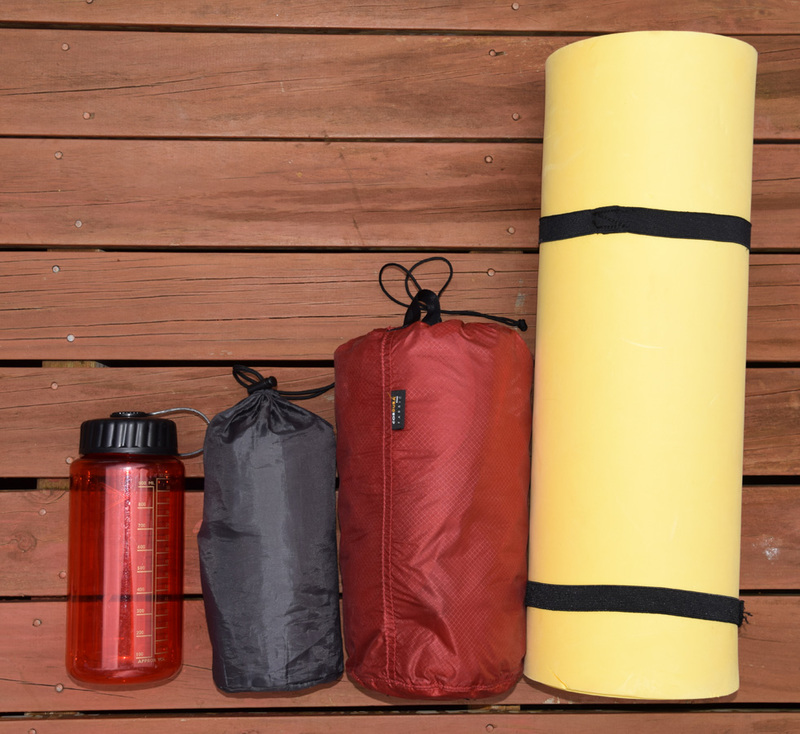 While a good sleeping bag is essential, your bag must be paired with a sleeping pad of some type. 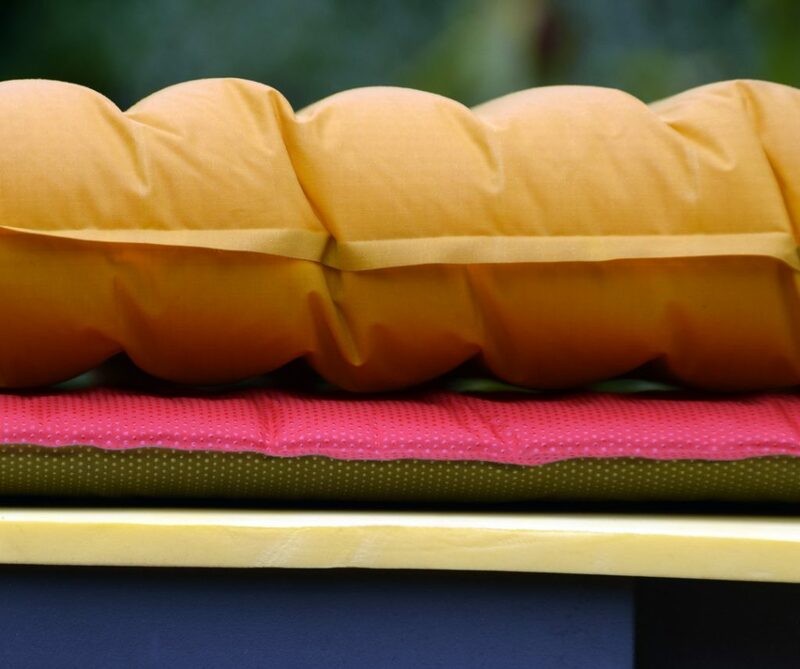 Sleeping pads insulate you from the ground, which is where you lose most of the heat. Sleeping pads are rated using an R-value. An R-value of 2 will reduce heat loss twice as well as an R-value of 1. An R-value of three will reduce heat loss three times better than an R-value of 1. Foam pads are cheaper and usually bulkier but much more durable. This type of pad was the mainstay of the camping industry for many years before the modern pads came on to the market. Many long-distance through hikers will use this type of pad because of durability. During exceptional cold conditions they can be used in tandem with another pad to increase heat loss on very cold ground or snow. One of the best foam style pads is the Therm-a-rest Z Lite Sol. 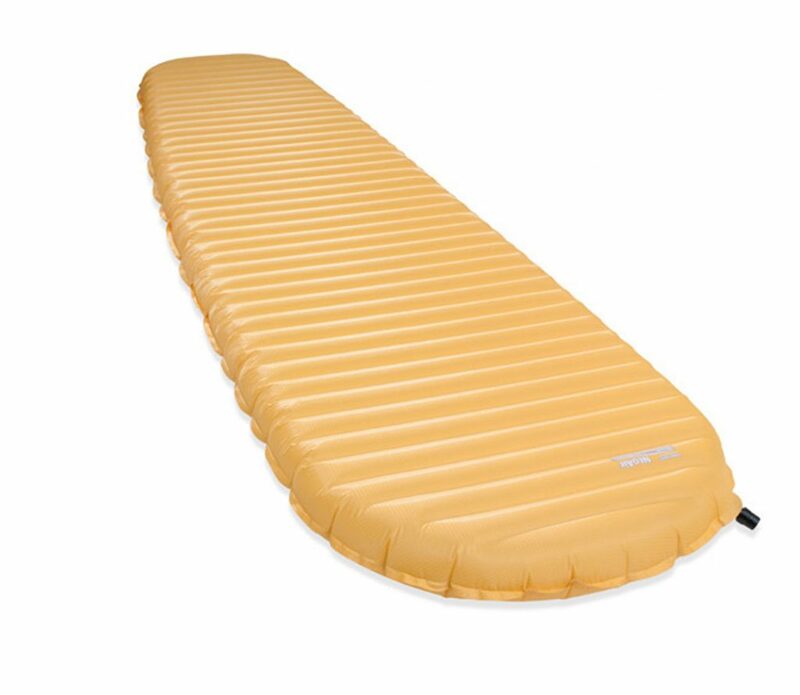 The second type of sleeping pad is the self-inflating pad. These were the next step on from the foam style pads. They consist of a membrane with a foam core that self inflates when the valve is opened. They provide a higher degree of comfort than the foam style pads and are almost as durable. They are also heavier than the other two types of pads. A good example here is the Therm-a-rest Prolite pad. The third and last type of sleeping pad is the inflatable pad and we are not talking about a lilo here. These pads are now very high tech and win out in the areas of warmth, comfort and weight. The one drawback tends to be durability but if cared for will last for long periods. Therm-a-rest used to own this category but now products from companies like Sea to Summit, Exped and Klymit are all readily available in Australia along with a number of overseas brands that are harder to source but provide a wide range of options. A popular example in this category is the Therm-a-rest NeoAir Xlite. Having gone from a foam pad to a self-inflating pad to a blow up style pad I can personally attest to the huge difference between the three types. A comparison of sleeping pads. Cheap foam pad on the bottom, a Therm-a-rest Prolite in the middle, and a Therm-a-rest NeoAir Xlite on the top. The comfort and warmth increases from bottom to top. The last factor to consider as part of your sleep system is clothing. The amount of clothing you wear will often be based on your own personal tolerances to cold. The more clothing you wear to bed, the greater the impact on warmth. Having said that you don’t want to sweat in your sleeping bag, as this will make you colder when your bag and clothes are damp. I have a very high threshold to cold and wear very little to bed (is this an overshare?). If you have a cheaper bag then you may need to wear more clothing. What this all means is that when you go to buy a new sleeping bag or a sleeping pad, don’t just consider a single piece of equipment but consider the whole system and if possible loan gear from a friend to see what suits you before outlaying a large amount of money on a sleeping bag or pad that is overkill, or underdone for your needs.